I love receiving tasty gifts for the holidays and I know many of the people on your list will too! One of the most enjoyable activities and aromas of the holiday season is baking for friends and family. To bring people's favorite tastes and smells into their own kitchens, Fannie May is introducing the Apron & Spoon Collection. This collection includes mixes to bake at home, hot cocoa spoons, powdered cocoa mix, artisan marshmallows and coffee flavors inspired by our classic recipes, which are perfect gifts for others and yourself. 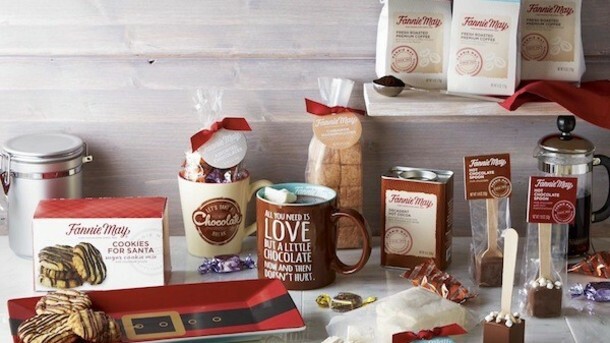 They are offering fun gift ideas like this Pixies Caramel Coffee, Hot Cocoa Tin and, sure to be a hit with the kids, the Cookies for Santa Gift Set! These make great gift ideas for teachers, friends and family this holiday season! 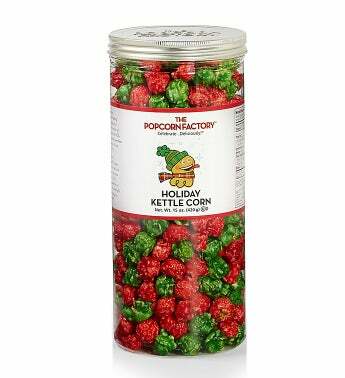 The Popcorn Factory features several tasty gifts the whole family can share with favorite seasonal varieties arriving in gallon iconic tins. 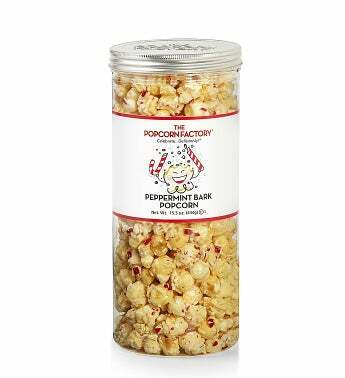 Two of their top flavors this holiday season are Holiday Kettle Corn, that is a little bit salty with a whole lot of crunchy sweetness, and Peppermint Bark, where they cover their premium kernels with luscious creamy white coating and sprinkle with refreshing peppermint pieces. Cheryl’s Holiday Cookie Jars are packed to the brim with delicious seasonal varieties that will have the whole family feeling the holiday spirit. Even better, once all the cookies have been enjoyed, the recipients will have a great keepsake that will be a beautiful addition to their kitchen and can be filled with goodies again and again for years to come. This is one of my favorite companies because their cookies are DELICIOUS and I love the Collector's Edition Snowman Cookie Jar set we received! I can't wait to use the Cookie Jar every year for our own homemade baked cookies! 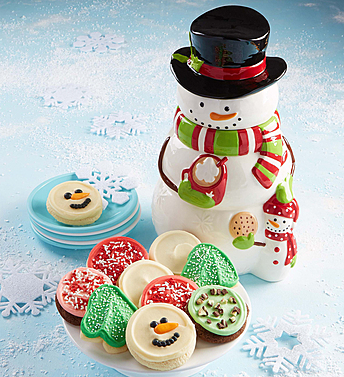 This delightful keepsake cookie jar is hand-crafted from high quality ceramic and arrives with a yummy assortment of Holiday goodies! They’ve also included an assortment of their famous buttercream frosted cookies – perfect for sending Holiday wishes! 13” tall. includes 10 cookies. 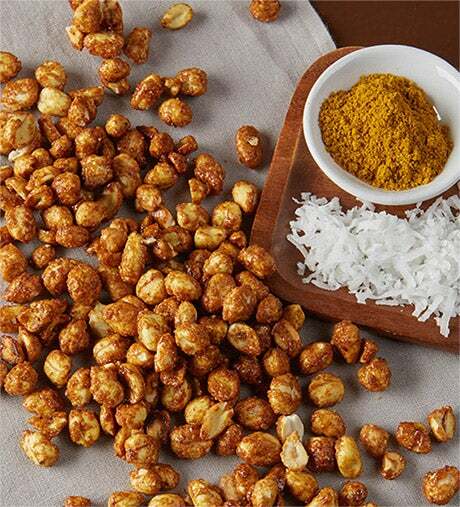 1-800-Baskets.com recently unveiled their brand-new “Snack On This” collection, featuring nut gift boxes with a zesty kick that are perfect for both self and shared consumption. The collection currently offers jumbo fresh peanuts in twelve outrageous flavors like Coconut Curry, Whiskey, Irish Stout, 5-Spice, Cherry, Spiced Cocoa, Guinness and more. 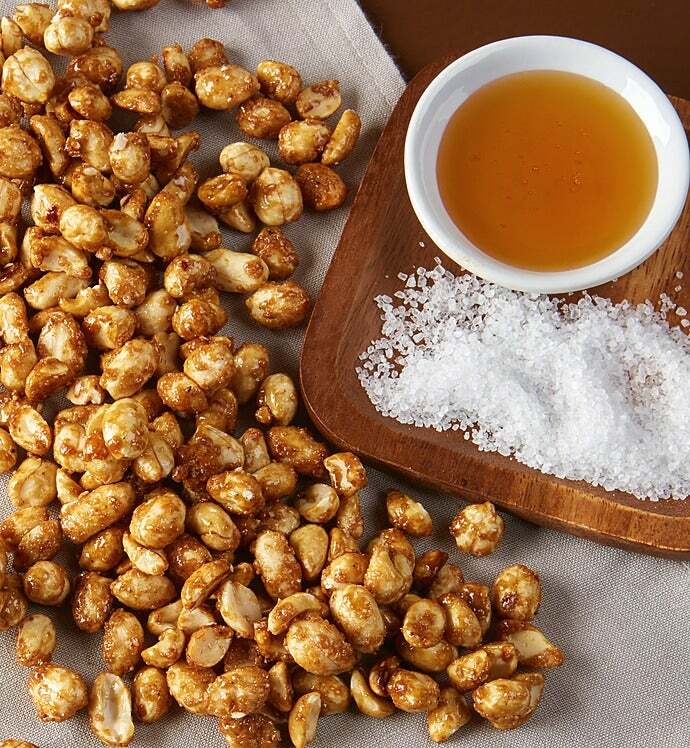 We tried the Honey & Sea Salt flavor and it was absolutely DELICIOUS and hard to stop eating!!! :) It also comes in a nice tin container so it is perfect for gift giving too!